A historic 1913 kitchen with a farmhouse sink, mixed painted and stained cabinetry and subway tile throughout. Design by Anne De Wolf. Do you have a 1910-1919 home? 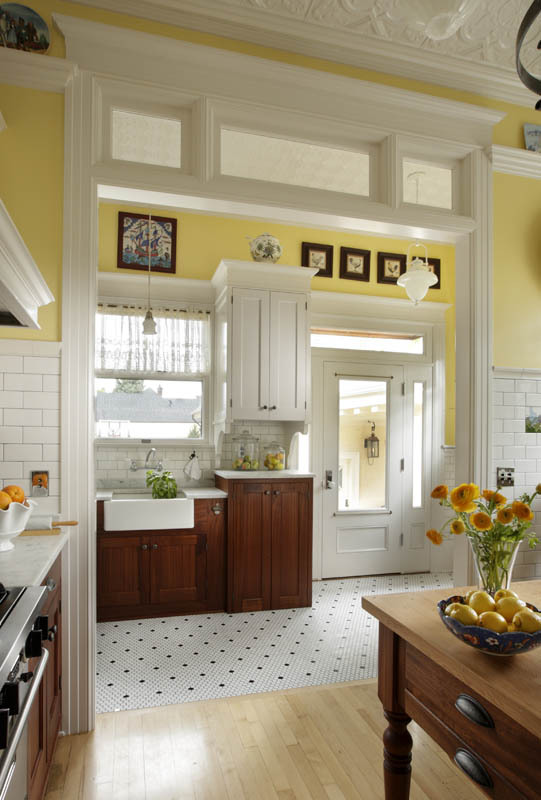 Here are some of the style characteristics of a 1910-1919 kitchen. Subway tile. The tile backsplash became popular, and sink faucets were often mounted on the wall as opposed to the counter. Full inset cabinetry. 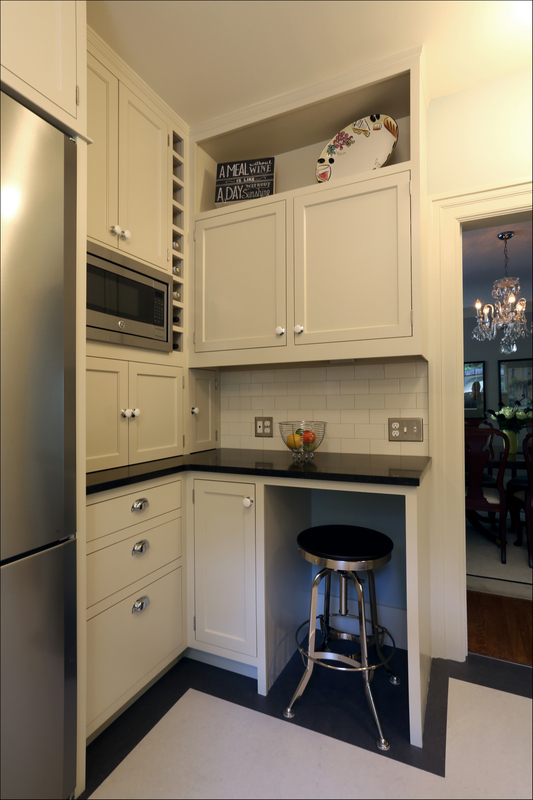 The full inset cabinetry in the early 1900’s reflects the simplicity of the era. Painted cabinets mixed with stained cabinets. Moving away from completely “sanitary” white, stained cabinets were incorporated. Farmhouse sinks. Sinks were either mounted over cabinets, or stood on cast iron legs. Thinking of restoring your kitchen to its original beautiful simplicity? 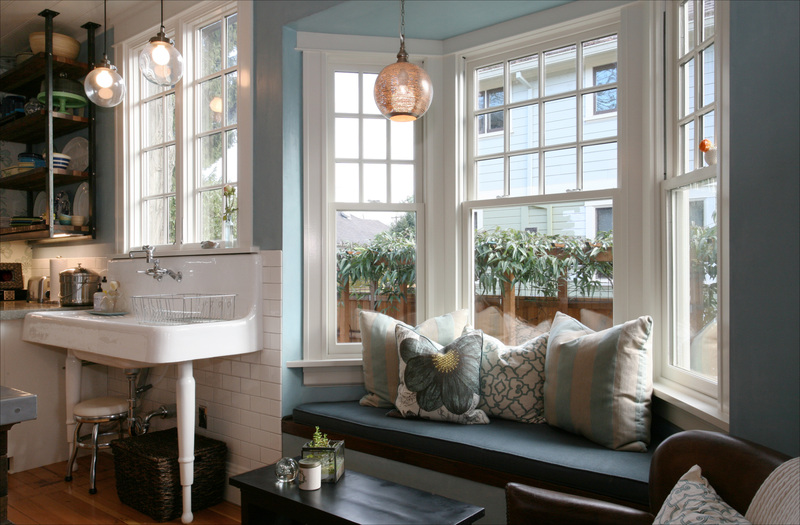 Our designers can help you integrate modern conveniences while including style elements that fit the era of your home. Schedule a design consultation to begin planning your own perfect kitchen here.